For some, it will be just one more year. For us and for you, it will be an extraordinary year. I still remember trying my first stroopwafel, riding my first bike in the middle of the city, the first time I ran away from the rain when just five minutes before I was bathing in the sun; it was September of 2015 and it was the premonition of a great year, a complete contrast with what my life had been so far in Portugal. Now I am almost finished with my Master’s degree in Theoretical Physics. But as with you, the new international students starting right now, I am too just embarking in a new journey. This year I am President of the Journalism Committee of ESN, responsible for bringing you great content in this blog! 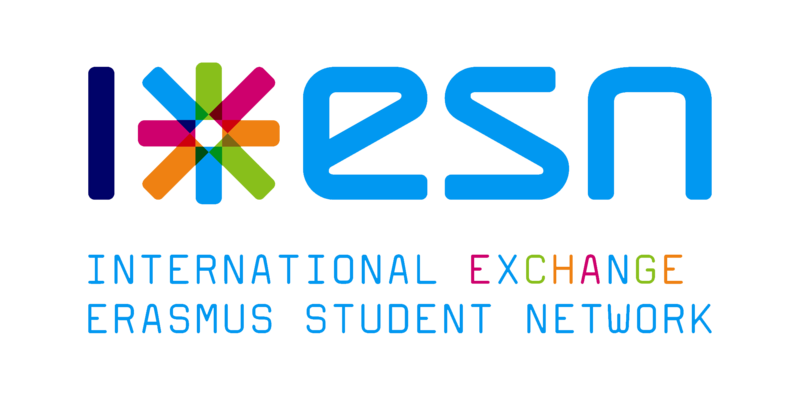 Last year I was also part of ESN, in the Pubquiz Committee, and was in the Project Committe the year before that. When I am not “sciencing”, I am a bookworm and you will always find me with my Kindle. Two of my favorite books are The Unbearable Lightness of Being, by Milan Kundera, and Jane Eyre, by Charlotte Brönte. I also love TV-shows, and this past year one of my favorites was This is Us (highly recommended if you are in need of a soul-cleaning roller-coaster of emotions). Me (left) in my UU Orientation Day in 2015, already totally Dutch! In our committee we are excited to help make your life in the Low-Lands a little bit easier: we will give you tips, report on ESN events, tell you interesting facts from the city and the Netherlands, explore current themes in Dutch culture, and so much more! Marjolein is the responsible for the Abroad Magazine, and what a job that is! She is always enthusiastic and ready to get the next great story, which is why she just started her Master’s degree in Journalism and New Media at Leiden University. She was in exchange in Viena in 2016 so she is excited to give back to the exchange community. She loves travelling, food (sushiiii), dancing, fashion, writing, Gossip Girl, James Bond and Phil Dunphy from Modern Family. Marjolein visiting a friend in Malta (2016). Next we have Robin, the lively secretary of the committee! She is our student life expert. Born and raised in Rotterdam, she moved to Utrecht three years ago and has now completed her Bachelor’s in Information and Communication Studies. She also spent some time in exchange, more precisely in Belfast. She is a die-hard fan of Harry-Potter, and I’m not exaggerating: her room even has a secret closet under the stairs where she sometimes goes to and, she swears, closing her eyes hard enough, she is even able to do some magic! Robin (back, right) with friends in Scotland (2017). Now we have Iris, the PR of our committee. She is sometimes a little shy, but she is fearless! She has been in Utrecht for three and a half years and just finished her Bachelor’s in Corporate Communication. She is now going to start a traineeship in Digital Content Creation, in Amsterdam. She attended a summer school “Cambridge English” in Manchester. Her guilty pleasure: 80’s music, because who can resist a good disco ball ? Iris in the day of her Graduation (2017). “Hello there! My name is Lara. I am 20 years old, which makes me the puppy of the Journalism Committee this year. I was born and raised in Frankfurt (Germany) and moved to Utrecht last year to study ‘International Communication and Media’ at the HU. Besides my studies I am working as a Content Marketer for a Start Up in Utrecht. Lara (back, left) hiking in New Zealand (2016). Now for our boys. Jeroen is pursuing his Master’s degree in Economic Geography, and he is also pursuing the World! He just got back from a seven-month trip to the Asia-Pacific region (up until a week ago he was helping us out directly from the jungle) and previous that he did an internship in Australia. He did a semester abroad in Nebraska, USA, and he loves to meet people from various parts of the world to get inspired by the cultural differences and the (unexpected) similarities. Our second gentleman is Jelle, whose birthday is today! He studies Journalism in Utrecht, and, like myself, is not new to the backstage of ESN Utrecht, having been part of the Activities Committee last year. He is a virtuoso saxophone and piano player, and you might just find him at his favorite place, ‘t Oude Pothuys, where he likes to perform at the jam sessions. He enjoys the simple pleasures of life, and he can’t say no if you invite him for a beer (wink wink). Jelle playing his sax (2014). I also want to mention our coordinating Board Member, Beaudine, who came back as well from a long South-Asia trip, with an enviable amount of tan and fun stories to tell. She won’t be writing with us, but without her none of this would be possible. Beaudine (left) leaving for her two-month trip (2017). Our most heartfelt hope is that you make the best out of your time abroad in Utrecht and we wish you all of the luck. Do you have suggestions for the Blog or the Abroad? Please let us know in the comments, we are always receptive to your ideas! PS: We have a challenge for you: if you spot us on the street, we will feature you in one of our blog articles. Keep your eyes open!